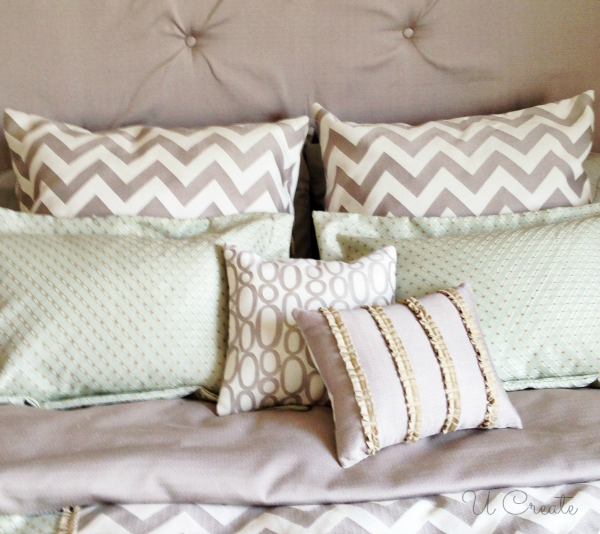 Let me show you my “go-to” pillow cover tutorial that’s a piece of cake to make! I can usually whip one of these up in 10 minutes! 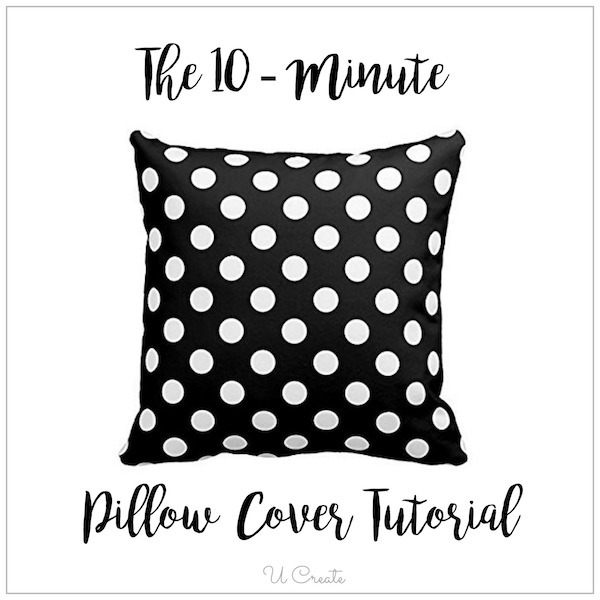 The first thing you’ll want to do is measure the size of the throw pillow you’re making a cover for. Once you have your measurements you will want to add one inch to the length and the width. 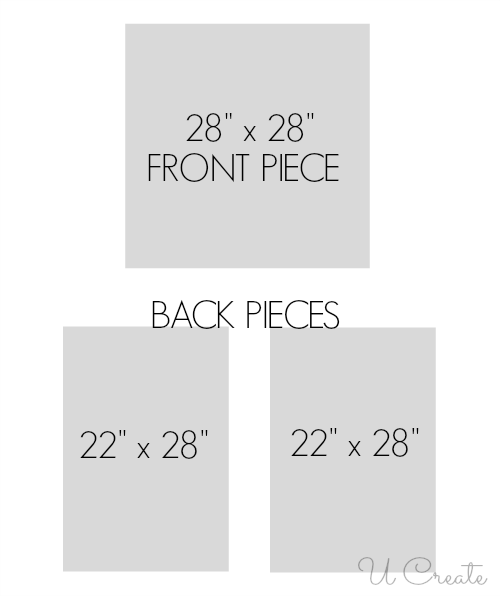 For example if I have a pillow that is 27″x27″ I will want to cut my FRONT piece 28″ x28″. If I have a pillow that is 6″ x 12″ I would cut my front piece 7″ x 13″. 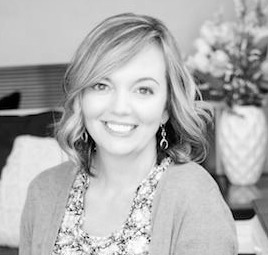 For your BACK pieces (depending on how much you want the flap in the back to overlap) you will want want the height to be the same measurement (so 28″ in example). 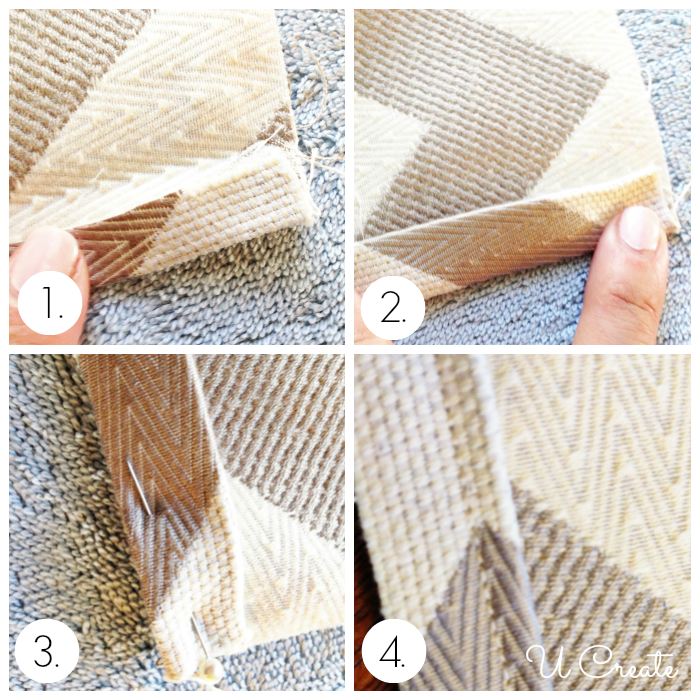 For the width, both pieces need to add up to be more than 28″ (or height) when sewn together. 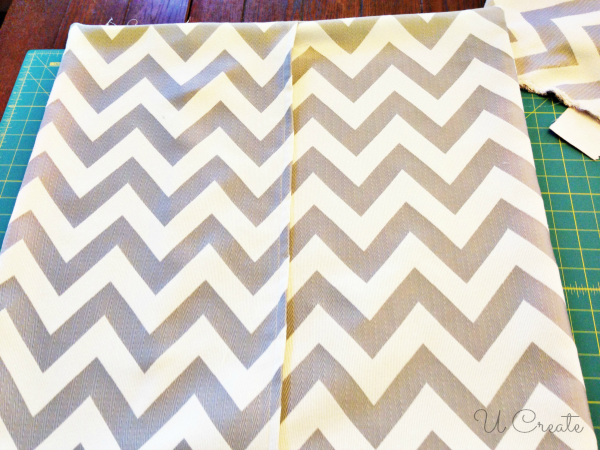 Once you have your three pieces of fabric ready, you are ready to sew! 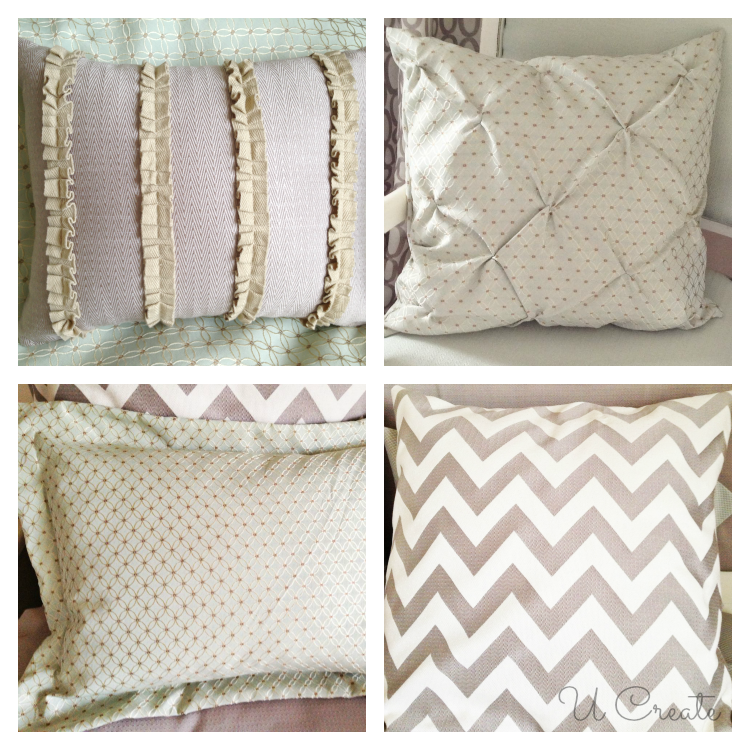 Interested in making more throw pillows? Click here for the tutorials! 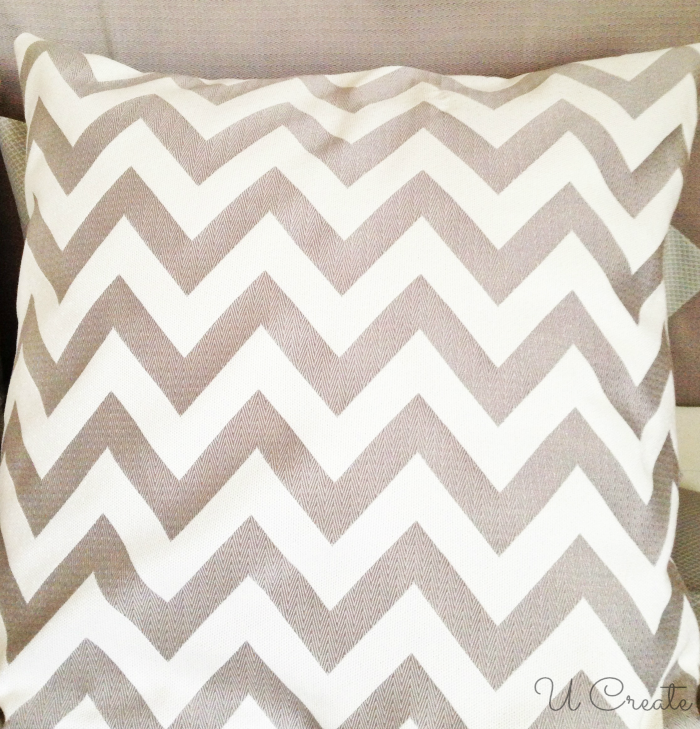 Where did you find that chevron fabric? Did you order it online or find it in a store!? 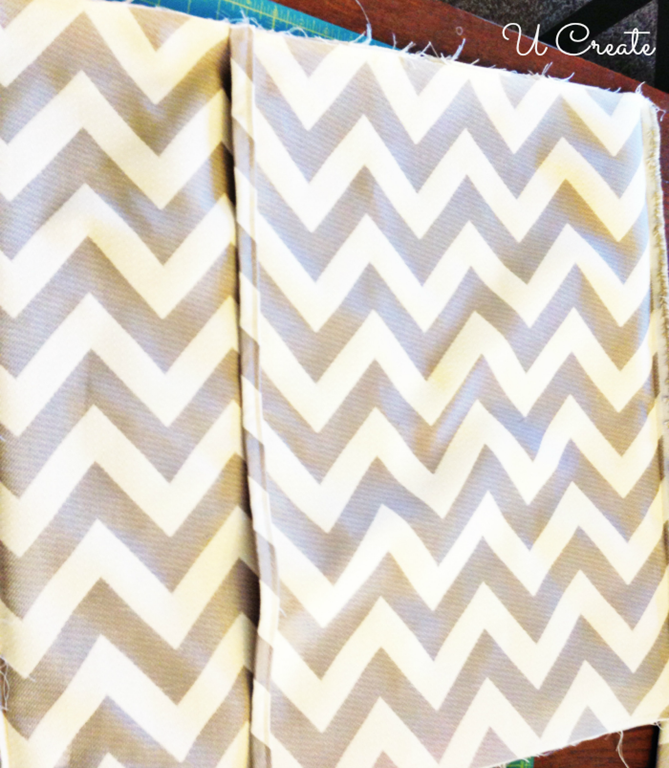 I can’t find any chevron in the store and it’s driving me nuts! So glad you like it Kristen! Love your t-shirt pillow Staci! Awesome job! perfect tutorial! I will use this to make gifts for friends. I have so little time to make projects, Will make pillows this holiday and will give to friends next year when we come back to work. 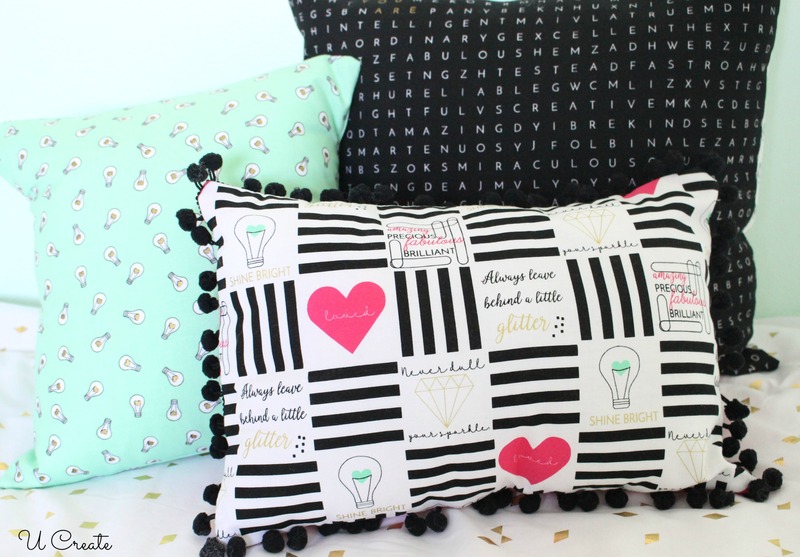 Adorable pillow and such an easy tutorial! This is so cute! I wish I had more time to let out my inner craft diva. Thanks for sharing your ideas.